The central theme of Rollman's work focuses on the ever-changing elements of nature: Earth, Air, Fire, and Water. 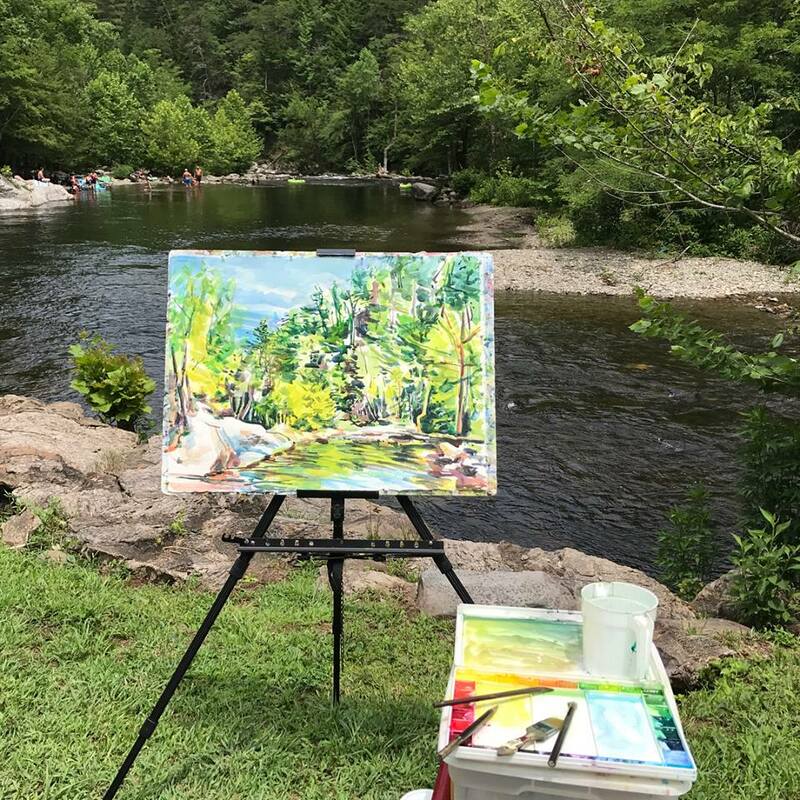 As a plein air painter for several years, Rollman expresses her devotion to nature by using a rich palette of color and active mark-making influenced by her study of Eastern paintings and writing. Rollman states that, "While painting, my dedicated focus seems to stop time; and that day is actively captured in each work of art. Communion with nature is a gift to be shared, especially now as people's lives are distancing from their environment." She believes that our current global condition is evidence of nature's brutality when not respected and our fragile misunderstanding of it has us speculating the outcome. By personally experiencing the changing elements of nature, Rollman is able to capture the landscape and its sacrifice for our renewal.